I would like to use this model in home. Both as a good sized ship for the space environment and one for a shelf....maybe bread box sized. Here is the file. It is in max format. Some textures had to be separate due to size constraints. I’m guessing that he’s the pilot. I can save to a lot of formats but not GLB, sorry. Well, what software can do that? Awesome. Can you find a way for me to grab it and make it into the two sizes requested? As i said, i can't export from that software shown but i believe you can do what you want at the link i gave above. 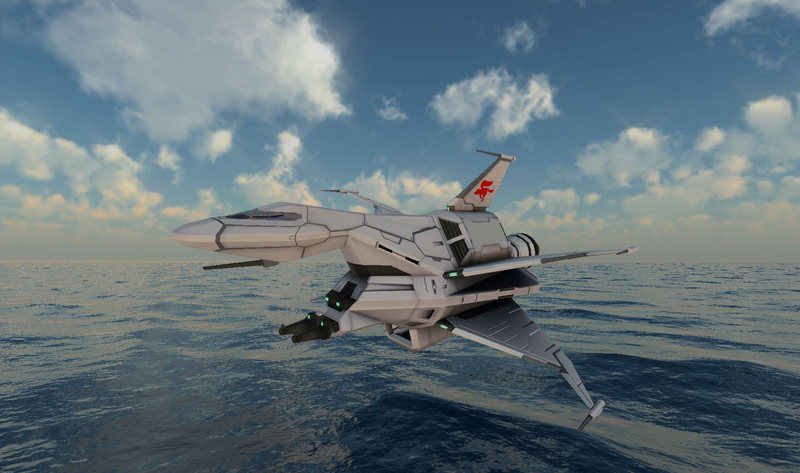 I tried but that requires a FBX file....a format that I do not have. Ah ok, sorry. Just had a go, no idea what this looks like. I tried to load it into Windows 3d Builder but it failed. 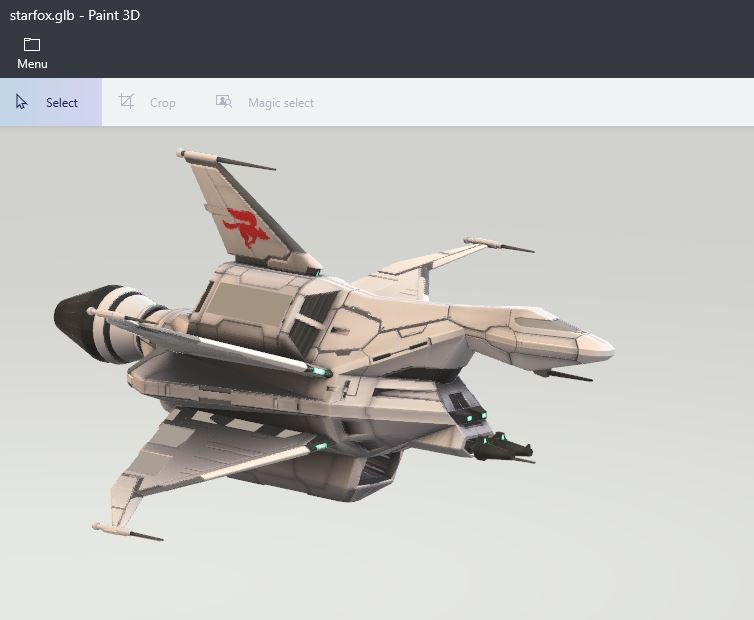 You can load it into Paint 3d and it looks very nice actually. 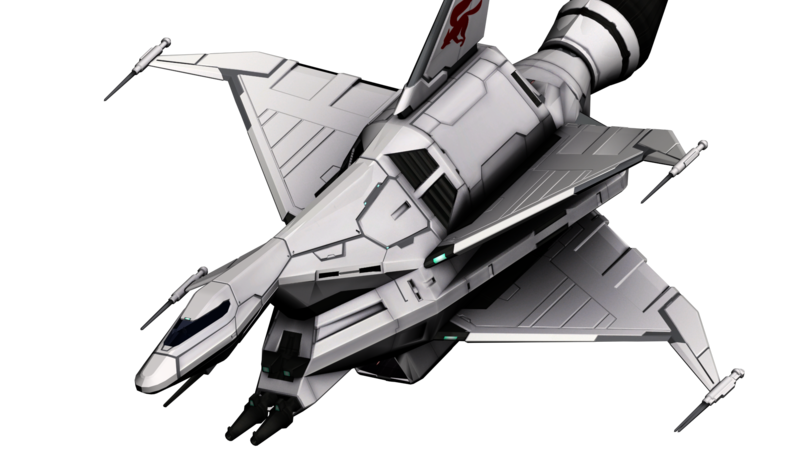 The one texture i couldn't find/correct was the Starfox name on the sides. The other software i'm using further up is Visionary Render. It isn't cheap. 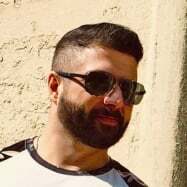 Maybe a plugin that I don’t have? What are the exact steps your doing to open it? Extract the file. 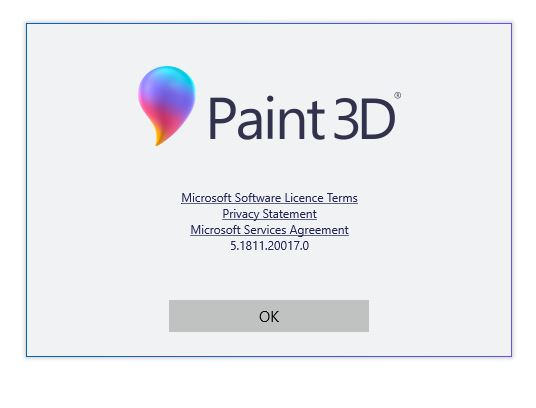 Search paint 3d in Windows search - choose the trusted microsoft store app one when it comes up. Choose open/Browse files then choose starfox.glb. I can't imagine you are doing anything else? I haven't done anything like this yet - didn't even realise we could! So, have you tried that yet? 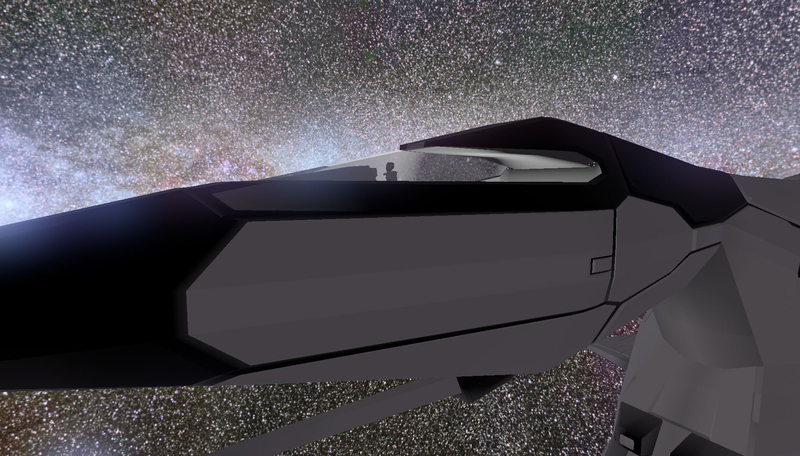 If that works i'll try and clean the model up - change the opacity of the cockpit windshield so you can see through it. I know how to do it in my software but not in 3ds max for the glb file. I thought it didn't matter because it was just going to be a black plastic model. I am aiming for two versions. One big enough so that I can put it on the space environment so that it looks realistic.....so maybe couch sized. One as big as the badic monitor for display on a shelf. This was the most annoying model in the world, clearly converted from a game asset, so messy! Had to delete the cockpit and just made it black cloudy glass as the geometry was too messed up. Made 4 versions, one HUGE one for outside ... make sure you are standing on the edge of your baclony and facing outward when opening that one up! Other 3 are various small sizes, wasn't sure what shelf you wanted to use. 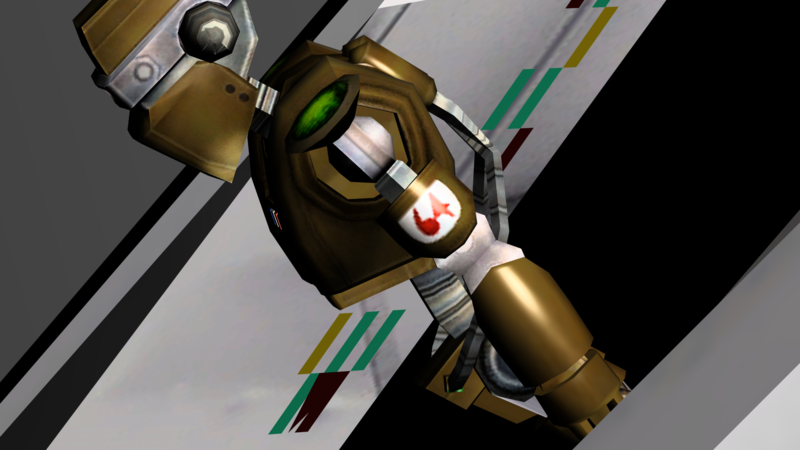 I could probably get the Starfox lettering on there, the only issue is that those faces have incorrect UV mapping, would have to strip them out, and then paint the Starfox texture directly on the other texture into a single file. Could do that at some point towards the end of the week when I have more time. 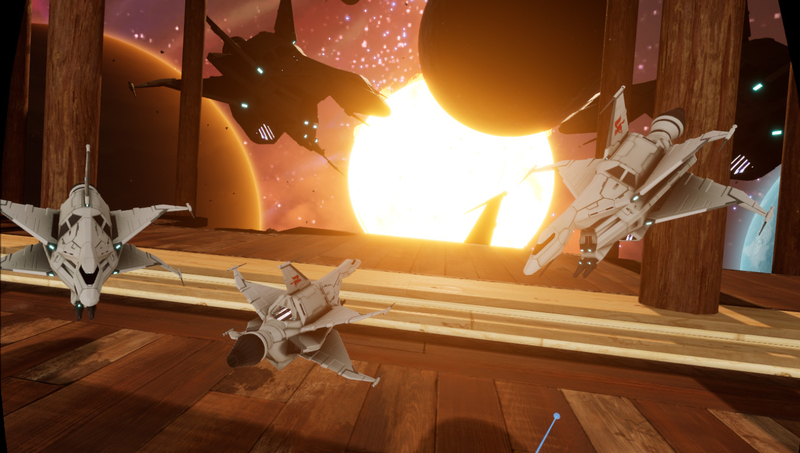 I fixed the geometry in the landing bays at front and back and also added lighting in there, reduced the shininess as it was a bit too plasticky. Thanks so much!!! 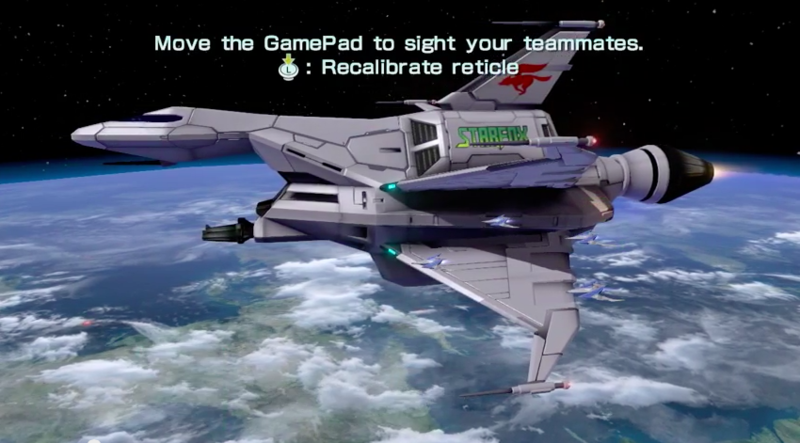 I thought that the Starfox Logo would be part of the textures but I guess they left it off for some reason. 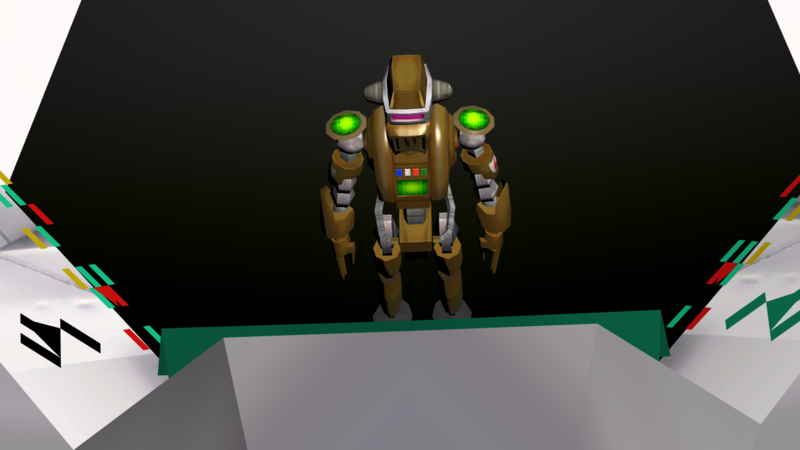 It was on 2 separate polygons on top of the mesh, but those were mapped incorrectly in the OBJ file so I removed them. (max file is a garbled mess). I can stick the text on top of the texture it'self but the main body is actually 1 piece mirrored so the text would be correct on one side, but would be the wrong direction on the other.